A nice phrase book full of phrases for general situations, eating out, shopping, hotel registration, and visiting a doctor. All the Russian greetings to begin with. All the Russian farewells you will need for a start. Do you know all national Russians holidays? Find out on this speaking page about Russian holidays. 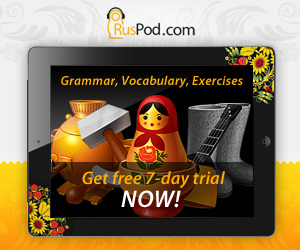 Discover the frequency list of top thousand Russian words and their English translations. 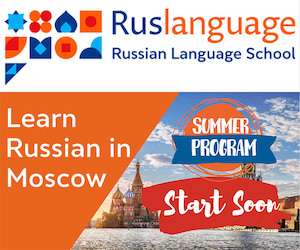 Learning most used words early in you your Russian study will have a significant impact on your mastery of the Russian language. Russian calendars mark Monday as the beginning of the week. Here are all the words you need for days of the week—from Monday to Sunday, plus a few extras to help you talk about your schedule and calendar activities. Learn how to say the months of the year in Russian. Find out the difference between the old-style and new-style calendars. Learn some key words and phrases for speaking Russian in romantic relationships. The lesson consists of three sections for different stages in relationships. Russian vocabulary for wedding and marriage. This lesson will teach you Russian words for "bride", "groom", "newlyweds", "wedding ring", "bachelor party", and more.